Kevin Jonas hosted the The Give Back Hollywood Foundation’s X-Box Miracle of Music Benefit in honor of the 2011 American Music Awards on November 19. Actors, musicians and celebrities will come out in force to film public service announcements and leverage their social media followings to support Children's Miracle Network Hospitals and their Millions of Miracles Campaign which raises funds for over 170 children’s hospitals across the nation. 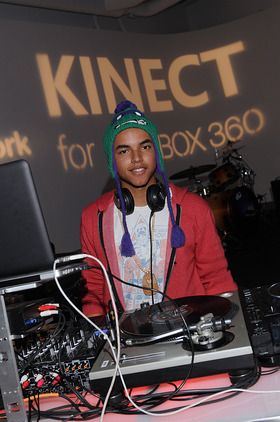 The event attracted a plethora of talent, including special guest DJ C-Squared (Connor Cruise – the son of Tom Cruise and Nicole Kidman), a live performance by AMA Nominated New Artist “Hot Chelle Rae”, as well as JoJo, Boo Boo Stewart, Estelle, Candace Cameron Bure, Patrick Warburton, Perez Hilton, Cody Longo, Shar Jackson, Stephen Amell and Thomas Gibson. Connor Cruise was very low key and down to earth all evening, accompanied by his friend and 2 cousins- all the same age as him. They played XBOX Kinect, drank Honest Tea, and Connor DJ’d for an hour. 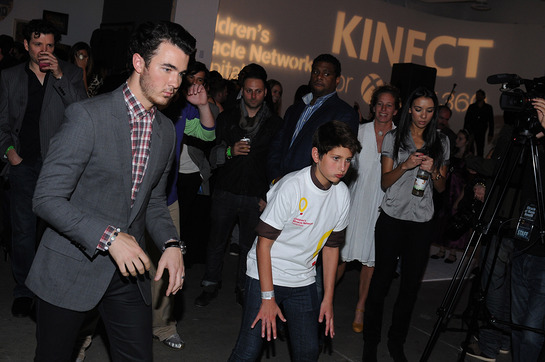 Kevin Jonas played tennis on the XBOX Connect with one of the children for the Children’s Miracle Network Hospital. 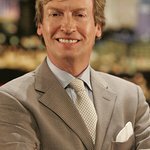 Children’s Miracle Network Hospitals has grown dramatically since its founding in 1983 from a televised fundraiser in a small studio to one of the North America’s leading children’s charities. The organization was founded by Marie Osmond and her family, John Schneider, Mick Shannon and Joe Lake. As of 2011, Children’s Miracle Network Hospitals has raised more than $4.3 billion-most of which is donated a dollar or two at a time.